The start of the new year is honored by some Native Americans, although many tribes have selected different dates as the last day of the year. The Hopi and the Zuni both celebrate a new year's celebration on 22 December. This ceremony is called Soyal, and it is a time of renewal and purification. A ritual is conducted to welcome the sun back after winter. The Makahiki new year festival is celebrated in Hawaii in October. It celebrates new beginnings and honors the Hawaiian god Lono, who represents fertility, music and rain. There are three phases of Makahiki. The first consists of purification and spiritual cleansing. During the second phase, the Native Hawaiians celebrate with ula dancing and athletic competitions. The final phase honors Lono and tests the tribe's current chief to ensure he is still worthy as a leader. The Tewa Native Americans celebrate three dances throughout the year honoring a different animal each time. The year begins with a turtle dance, which remembers and honors the day of creation. 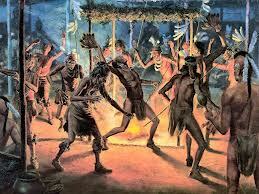 For three days in October, the Tewa celebrate with the deer dance. This dance represents both femininity and masculinity. 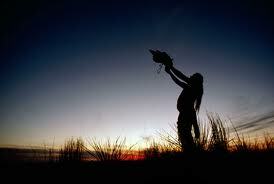 The next month, the buffalo is recognized, and the Tewa see this as a time of healing and life. Native American holidays often celebrate the sun as a life-giving power, both physically and spiritually. The Inca called their sun god Inti, and they celebrated him during the Inti Raymi. This festival traditionally begins on 21 June, the southern hemisphere's winter solstice. The celebrations consist of elaborate dances and the wearing of many bright colors. Originally, animal sacrifices were offered in hopes of an abundant year.